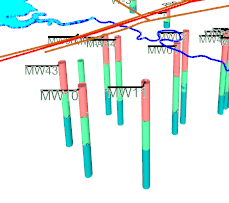 Stratigraphy can be displayed on each borehole in a 3D view and then rotated to see how the strata vary across a site. 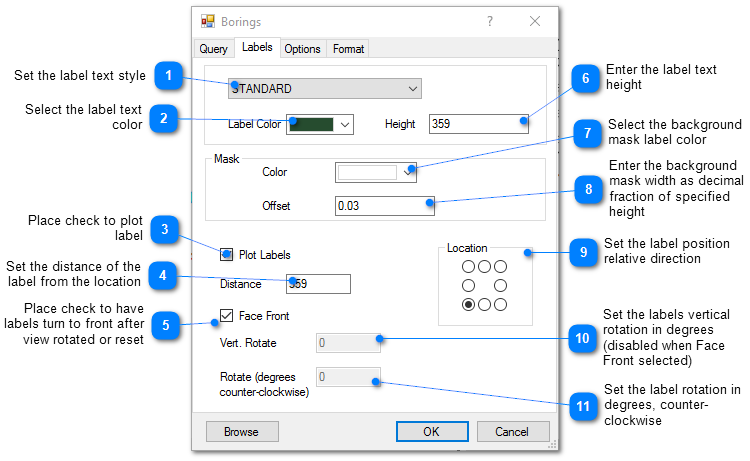 To create 3D stratigraphic logs, click Plot> Stratigraphy from the main menu and select 3D Log. 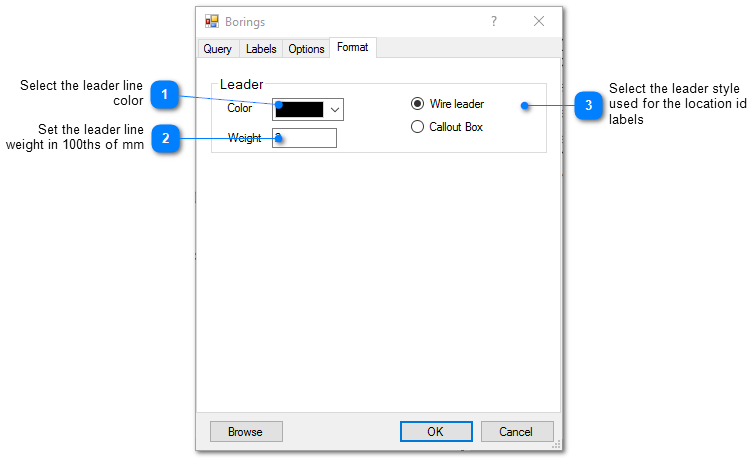 The Borings dialog box opens. 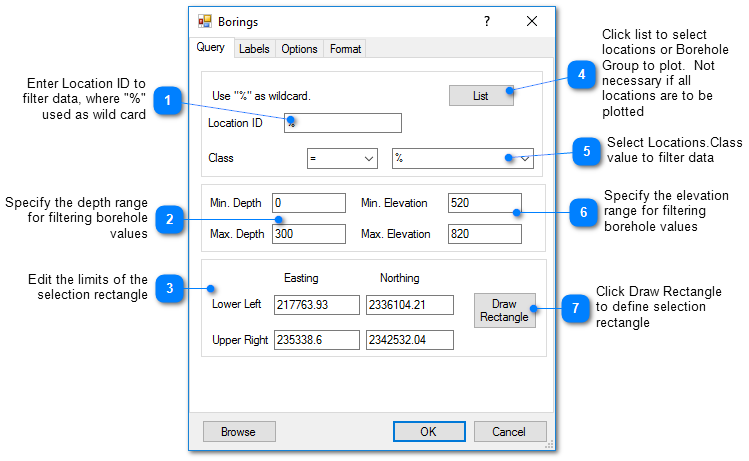 The Borings dialog box opens. 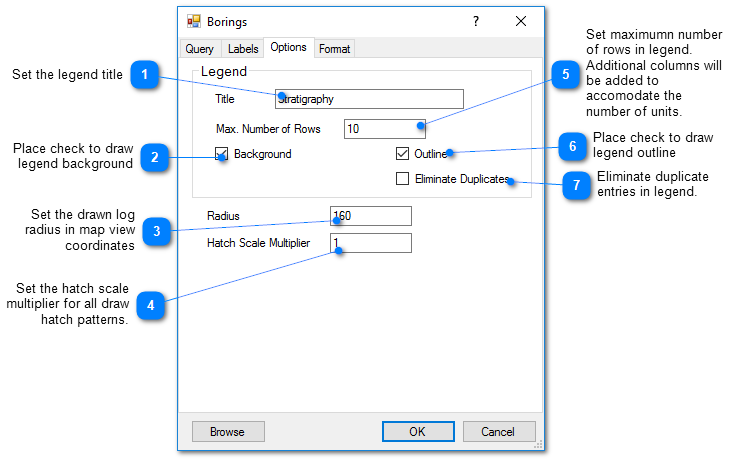 Modify the properties of the boring plot on the Query tab, Labels tab, Options tab, Format tab, and EQuIS Location Groups tab as desired. Click the OK button to save changes.